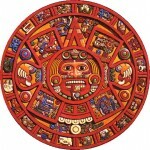 Mayan calendar similar to ancient Chinese Zodiac calendar? Ancient Mayan and Chinese calendar systems share so many similarities, it is unlikely they developed independently, according to the late David H. Kelley, whose paper on the subject was published posthumously in August. Kelley was a Harvard-educated archaeologist and epigrapher at the University of Calgary in Canada. He earned fame in the 1960s for major contributions toward deciphering the Mayan script. His article, titled “Asian Components in the Invention of the Mayan Calendar,” was written 30 years ago, but was only recently unearthed and published for the first time in the journal Pre-Columbiana. 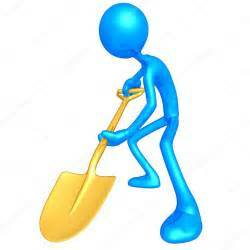 This video is part of The Alignment Within and explains how The Mayan Calendar Works. 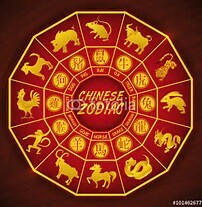 The Chinese Zodiac is a 12 year cycle symbolized by the 12 animals. Each animal has a different personality and characteristics that influence a person’s personality, success, and happiness. Featured Image: Hollow Earth diagram. Credit: Max Fyfield. Used with permission. Over the past 25 years I, along with many other researchers from around the world, have been investigating the centuries old belief that INSIDE our earth was an ancient world. The two underworld theories we have been looking at for a possible answer are known as the Hollow Earth Theory (THEI) and passed down from generation to generation oral legends of Subterranean Worlds and the giants and small people that come to the surface from time to time…. As we here at THEI have been noticing and posting for a long time; there have been scientific findings that have caused the corporate funded establishment scientists to have to make drastic changes to wiggle any new scientific information to “fit” the accepted theory of the makeup of our earth. The belief that the deeper you go the hotter it gets. . . or the one that the pressure will crush you. Both of these beliefs can be scientifically challenged. And as we learn more and more about our strange, mysterious planet and the underground that exist right below our feet, the information causes the establishment scientists, to struggle to try to make the new findings fit into the accepted theory of the make-up of our planet. 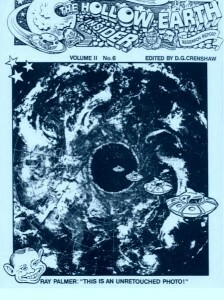 Image: Cover of Vol. 2 #6 The Hollow Earth Insider. Credit: Max Fyfield. Source: THEI Archive. An example is the report we published just 3 days ago, Hollow Earth Theory MAJOR UPDATE: Inner Ocean Found! in which we reported on the finding of an Ocean, “a reservoir so vast that could fill the Earth’s oceans three times over”, inside our Earth. 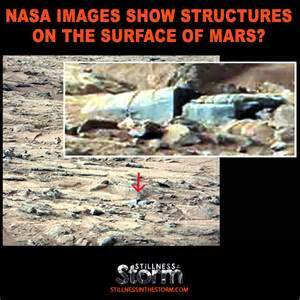 Now, just 3 days later, this piece of amazing info which should add validity to the ancient worlds theories . . . or at least change the direction of scientific study about the makeup of earth. . . or, probably not. Maybe we can watch as the controllers zombie’s try some kind of smoke and mirrors like they did when they tried to turn the inner sun into a planet . a “planet within a planet” they called the core. I still Shake my head when I think of that. The damn core gives off heat and light and its spinning freely of the earth. Look in any dictionary. The core is actually a small inner sun. It’s really a “Sun within the planet”. Why wan’t the controllers yes men Admit it. . .Anyway, enough ranting. A team of Harvard scientists may have found an indication that a portion of an ancient Earth exists inside our planet’s mantle. Category: Hollow Earth/ Subterranean Worlds, True Hidden History / Tags: ancient, Earth, Expanding, Expanding Planet, Harvard, Hollow Earth, scientists, subterranean worlds. Tim Martin has his eyes opened by an enthralling new history that argues that Druids created a sophisticated ancient society to rival the Romans. Iceland, once home to fiercely independent ancient Norsemen such as Erik the Red, is still fiercely independent. It is now spawning a trend of financial independence from the world’s banksters, those we call the controllers. A dozen of the best field researchers in the world looking into pre-conquest America, all gathered in one place. Did the people of ancient North America have a communications system that allowed messages to travel from the east coast to the middle of the continent in an afternoon? Were there giants in those days? You mean there were numerous stone fortresses in America before Columbus? There were how many different writing systems? How much copper was extracted before the historical era? Millions of pounds? Billions of pounds?